Icelandic folklore is rife with tales of elves and hidden people that inhabited hills and rocks in the landscape. But what do those elf stories really tell us about the Iceland of old and the people who lived there? 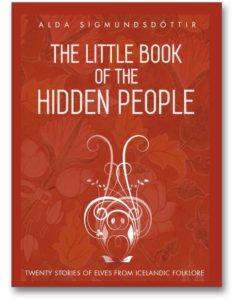 In this book, Alda Sigmundsdóttir presents twenty translated elf stories from Icelandic folklore, along with fascinating notes on the context from which they sprung. To read more about the inspiration and instigation for this book, click here.